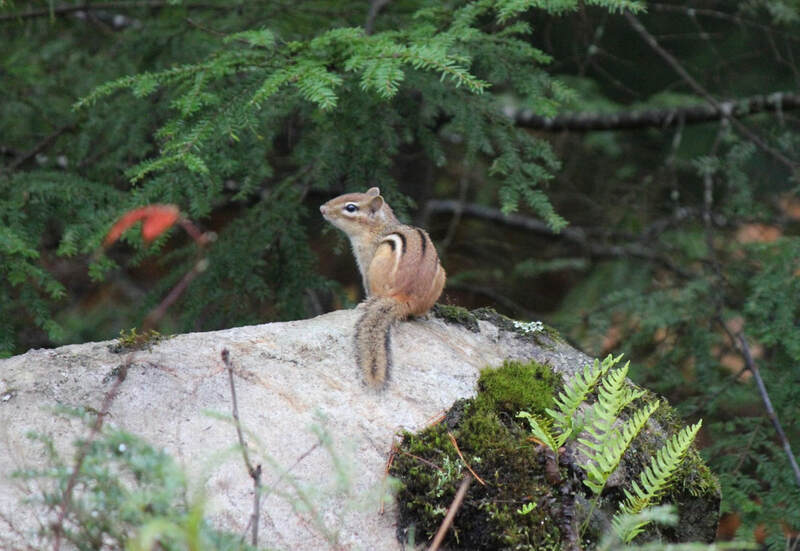 The Eastern chipmunk creates a burrow under the ground to live. Their burrows can be up to 11 feet long and can have multiple entrances. They use leaves, rocks and sticks to keep their homes hidden. Their cheeks are used to gather food but also to transport dirt and other materials when building. They prefer to eat seeds, fruit, green plants, nuts, mushrooms, bulbs, eggs, insects and worms. They are usually very busy and hard to photograph, but this one was taking a break.